Have you ever felt of issue while running a video in your device? Yes, we encounter such issues very frequently. So, we need some device, a way through which we can convert a video from one format to another. 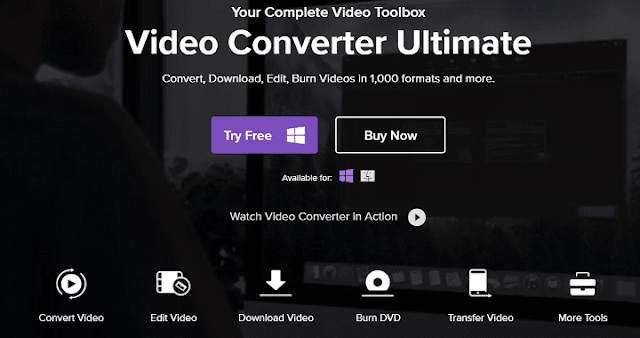 No matter what is the reason for which you are looking for a tool which can manage your videos, create video for you, edit it, and transform it, you need a video converter. Recently, I tried one of the leading video converters in the industry Wondershare Video Converter Ultimate and was impressed with the performance. In this post of how to convert videos from one format to other, we will review Wondershare Video Converter Ultimate. We will also see how this is solving your need and the features of Wondershare Video Converter Ultimate. In this post we will be majorly focusing on Wondershare Video Converter Ultimate features and how it is helpful for you all. No matter you are a digital marketer or a person who is video lover, you are going to love this video converter. The famous tools in the web community like dr. fone, filmora, pdfelement are introduced by Wondershare only. These are doing amazing in the market and solving the daily problems. Wondershare is a China-based company serving the users of 150+ nations with its products and services. Started in 2003, the company has grown exponentially and has bagged multiple awards including the Deloitte’s “Technology Fast 500 Asia Pacific 2009”. So, you can estimate how reliable they are. Also, Wondershare provides excellent service both in terms of technical and application related support. You can get in touch with them whenever you require. How to get started with Wondershare Video Converter Ultimate? To start with Wondershare Video Converter Ultimate, you first need to download the software and install it. You can download it from the below link as per your operating system. Currently, it is available for Windows and Mac operating systems. Once downloaded, you can install it like any other software and you will get a welcome screen like below. Here you will get different options which are self-explanatory. 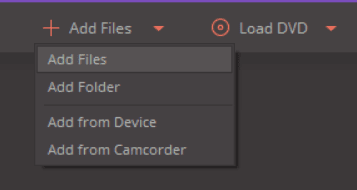 If you want to convert any video, just browse through the option Add Files and select the file you want to convert. Once done, you will have the file loaded and available for different action like below. You will find an option to convert at the bottom which you can use to convert that video in the other format. Also, if you have added multiple files, you can select all and convert all at once. Like this you will be able to convert any video format to others including MPEG to MP4. There are additional options to merge all the files you have added. To do this, just slide the slider available in the above screen. You can also import the videos from any specific URL that means internet. Just use the next option and share the URL of that video as shown below. Now as you know how Wondershare Video Converter Ultimate works, let’s see some of its features. Here are some of the amazing features of the Wondershare Video Converter Ultimate which you should know. These will help you use the tool more efficiently. The video conversion format available with Wondershare Video Converter Ultimate is more than 100 with 30x speed. Also, you can convert the video for multiple devices. Download or record your favorite 4K/HD videos from video sharing sites like YouTube, Dailymotion, and more for enjoyment without Internet connection. You can also convert those as per your need. You can also transfer media files to different devices of different operating systems like Apple devices, Android devices, USB flash drives or external hard drivers easily. Also, if the system will find any file which is unsupported in the destination device, the software will automatically into the supported format. Not only the above but the software also offers a set of full-fledged tools to help you better with video operation. You can also check the below video for better overview of how to use this tool. The pricing plan offered by Wondershare is very flexible and starts at $39.95 per year and increases as shown below. You can select the plan as per your team size and uses. Also, the company offers lifetime free upgrades and support. This was all about how to convert one video to other formats in high quality and faster. Wondershare offers amazing software to do all these. Hope you got a good idea on how to use Wondershare Video Converter Ultimate brilliantly. Do try the software and share your experience with us.